Prize Pool: $729,120 | Entrants: 496 | Congratulations to Wendy Freedman for winning $167,696! 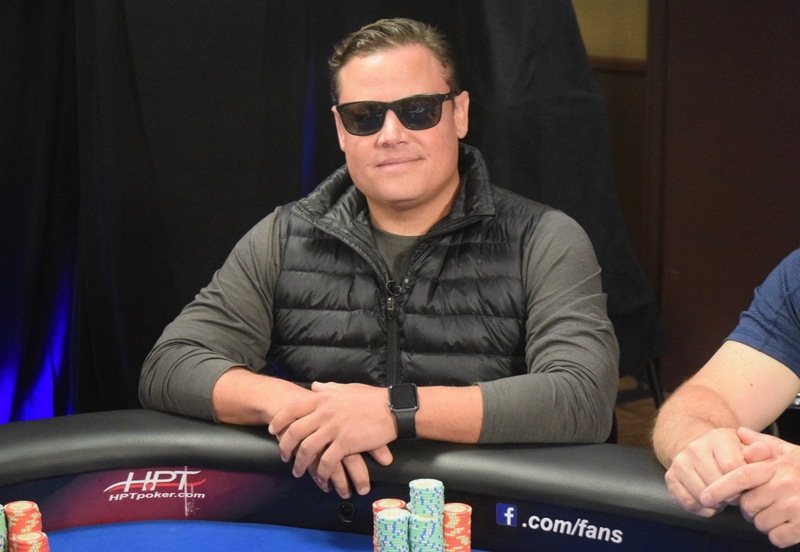 Black Hawk, CO (September24, 2018) – It was a week of milestones for Heartland Poker Tour (HPT) in Colorado. With 496 entries at GoldenGates Casino, HPT eclipsed $100 million in Main Event prize pool money awarded since the tour began in 2005. It was fitting that Wendy Freedman won the tournament for $167,696, pushing her career earnings total over $1 million. 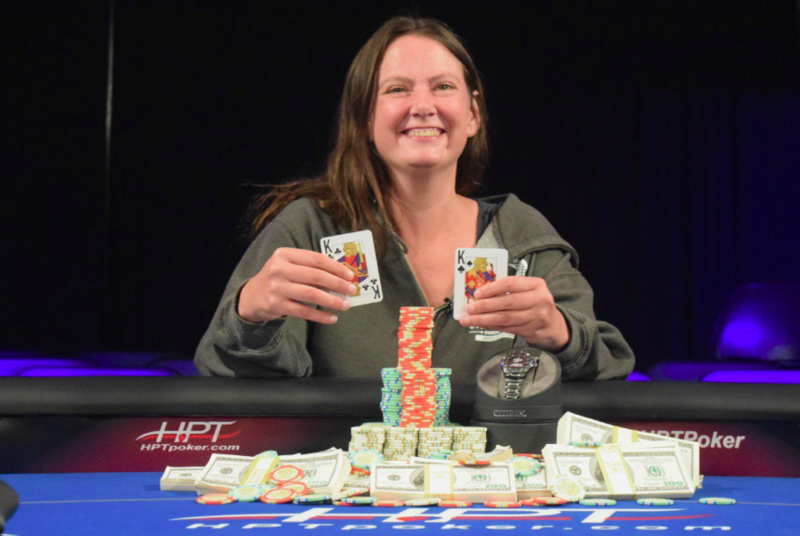 She became the third woman ever to win an HPT Main Event. Freedman did so in dominating fashion. The Las Vegas woman knocked out five of her eight opponents single-handedly at Monday’s final table. She held the chiplead for all but 11 hands on the day. Mark Morris was the last man standing between Freedman and the title. 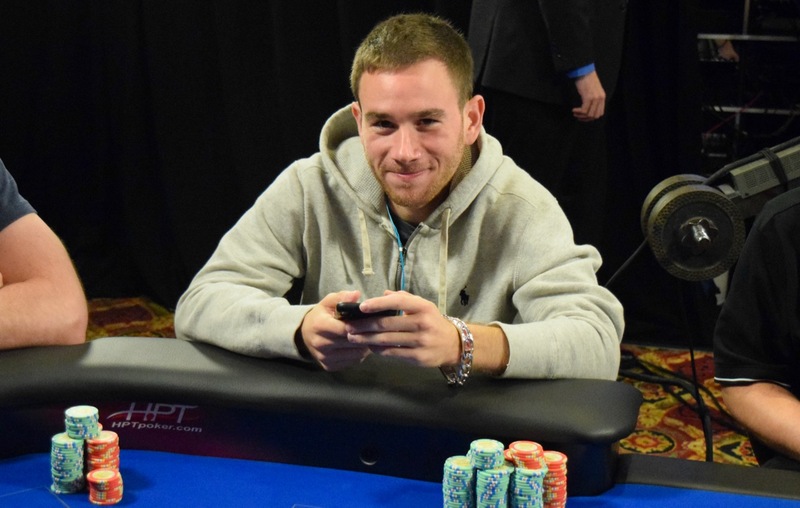 When the final two players began heads up play, Freedman held over a two to one chip advantage. It wasn’t long before they got all of the chips into the middle with Morris holding pocket eights. He was well behind Freedman’s pocket kings. The K-8-5 flop gave both players a set. 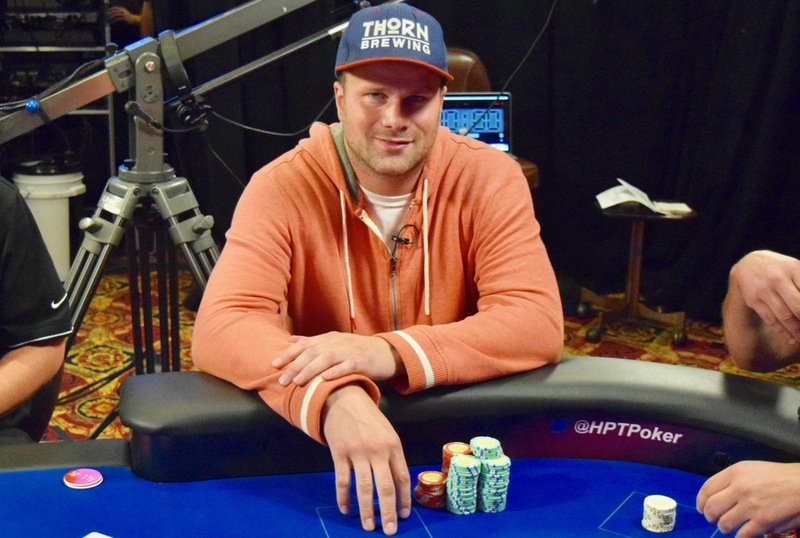 Freedman would need to dodge the lone eight in the deck to become the newest HPT champion. The turn and river came a five and an ace and the tournament was over. 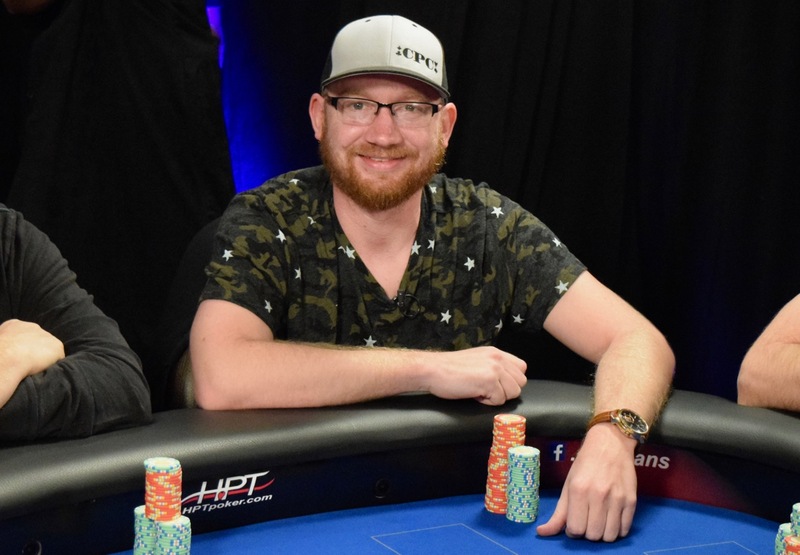 This was Morris’s first HPT cash and he made the most of it taking home $102,514 for the runner-up finish. 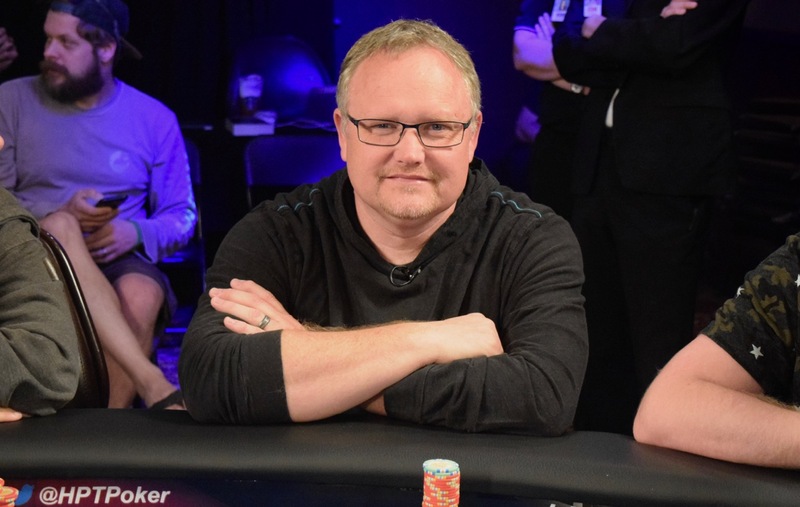 Morris owns a manufacturing company and resides in Spring Lake, Michigan, which happens to also be home to Morris’s friend and recent HPT champ Jake Baumgartner. The story at Monday’s final table was one of survival. That is exactly what each player was trying to do as Freedman seemingly ran over the competition on her path to victory. Perhaps no player managed to stay in the tournament as well as Paul Richardson. The San Ramon, California man found his tournament life at risk several times throughout the day but always found a way to hit the cards he needed. The business executive’s luck ran out in the end,however, as his pocket sevens failed to hold against Freedman’s ace-queen.Richardson collected $67,954 for third place. Denver’s Corey Zedo has previous experience under the lights of an HPT final table. Zedo finished fifth at a Florida event back in 2015. The poker player was able to improve on that finish by one spot Monday, going out in fourth place for $47,247. 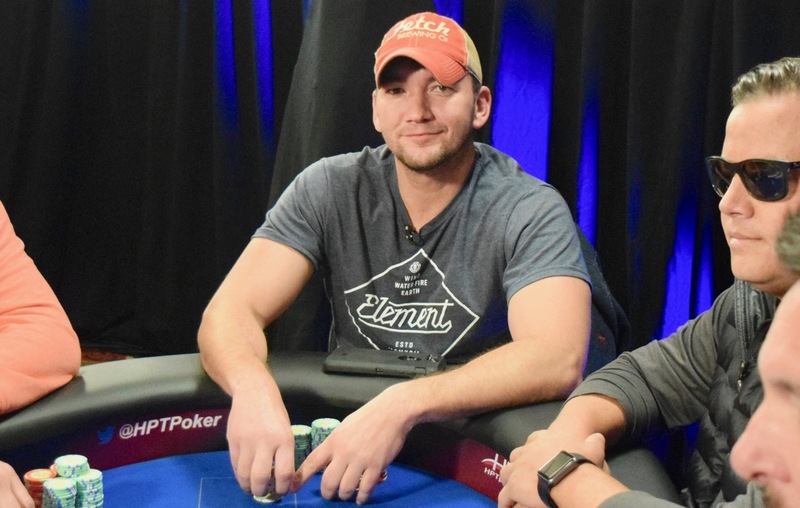 Alex Greenblatt was looking to go back-to-back after winning theSeptember 2017 HPT Main Event at Golden Gates. Greenblatt was donning the silver bracelet Monday that he earned after winning last year’s tournament.Alas, it wasn’t meant to be. The Santa Clara native took home $35,362 for fifth place. The self-employed Chris Barrett was lucky to be among the final nine players after finding a well timed triple up late Sunday to stay in the tournament. Barrett made the most of the opportunity as he outlasted several players before being eliminated in sixth place. Barrett, from nearby CommerceCity, collected $27,342 for his showing. 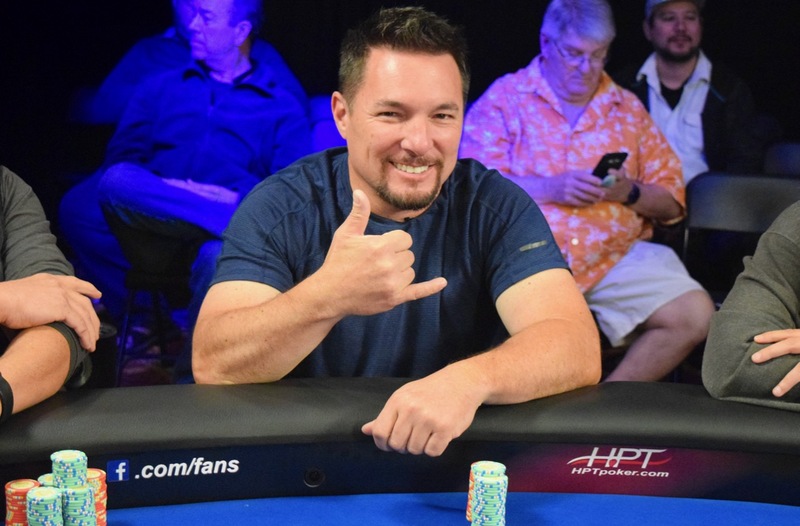 One of the most successful players in HPT history is Reginald Roberts.The business owner from Nixa, Missouri was making his twelfth appearance at anHPT final table. He has three previous wins and is second on the tour’s all-time money leaderboard. Roberts was never able to get much going on Monday. In the end, he got the last of his chips in as a favorite with ace-nine against Greenblatt’s ace-seven. A seven on the turn sealed Roberts’ fate and he was sent to the rail in seventh place with $22,238. Though Rich Alsup has accomplished a lot on the felt over the years, this was his deepest run in an HPT event. The Minneapolis native lost a few key pots early and was never able to recover. Alsup earned $18,228 for his weekend’s worth of work. The first elimination of the day came when Carl Oman ran his ace-eight into Richardson’s pocket aces. 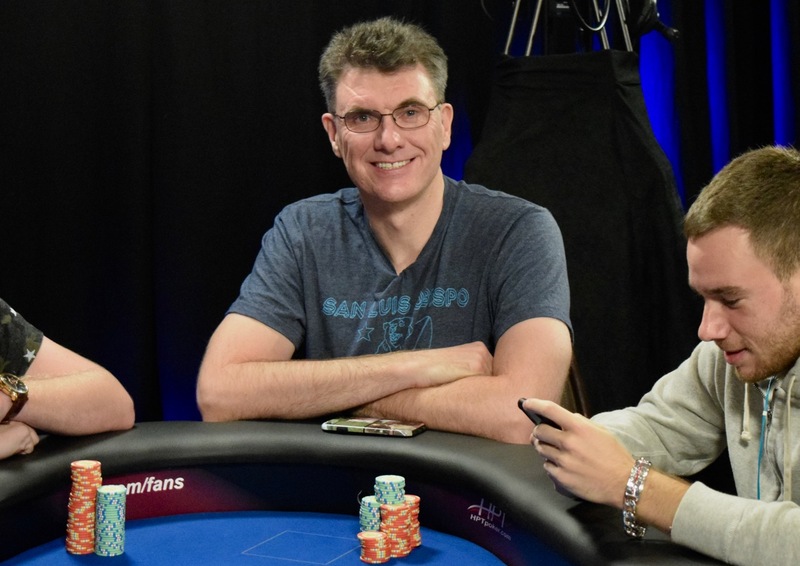 Oman, a superintendent from Vancouver, Washington,finished in ninth place for $14,582. There are two events left on HPT’s Season XIV schedule. The tour makes its way to Daytona Beach, Florida next month for a series that caps off with an $1,100 Main Event. From there, HPT returns toChicagoland for its season-ending $2,500 Championship Event. 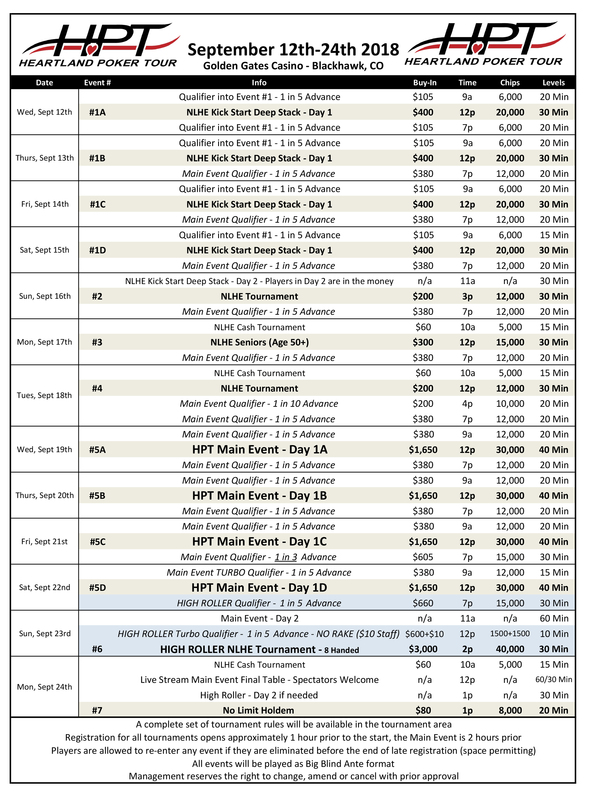 Full schedules foreach event are located at HPTpoker.com. You've perfected the ultimate poker face and developed your winning strategy, now all you need is top-notch room for playing live poker in style. Fortunately, Golden Gates Casino and Poker Parlour in Black Hawk, CO has you covered. The state-of-the-art room at Golden Gates is Black Hawk's best poker parlour, with 17 action-filled tables and a first-class poker setting. With a five table overflow room during tournaments, you’ll never miss a game! Ante up and compete for cash and great prizes in tournaments every single day! You can even earn comps while playing live poker, good towards delicious food and great merchandise.